As Google Analytics has grown and matured over the last 13 years, it has gone from a trendy home in an up-and-coming neighborhood to a modern, complex city among a network of other Google products that have spread and expanded their features. Platforms involving AdWords, the DoubleClick ecosystem, databases and app options are all tools that complement Google Analytics’ behavior and acquisition metrics. Instead of traveling back and forth, update your workflow to monitor and tap into multiple tools at once. There are many ways to link, blend and integrate Google Analytics data with other platforms. Here, we’ll go over the different product links that are in the interface for properties. Whether you’re in, SEO, paid search, digital marketing or analytics, it’s important to know what each product is and why it’s important. This will open up ideas for opportunities and user behavior reporting in Google Analytics. How are people naturally finding our site on Google? Did they already know us and search for branded terms? Did they find us through searching for our services? Which landing pages are best optimized for search? Where do we rank highest geographically? Does this relate to what we know about market saturation and competition? Analysts who have been using Google Analytics for a while may remember the time (nearly a decade ago!) when organic keywords were available right within the standard reports. However, those days are gone and it’s well-known that Google does not provide organic search terms in Google Analytics. There are exceptions from niche search engines that pop-up from time to time, but most likely 98% or more of the organic search data is missing when you navigate to Acquisition > Campaign > Organic Search Terms. Even though the data isn’t collected here, Google’s Search Console is the answer to bringing in this valuable data. Once the connection is complete, you can see organic search terms (only from Google) right in your Google Analytics standard report in Acquisition > Search Console > Queries along with other valuable data like impressions, clicks, CTR, for devices, landing pages, and countries. Instructions on how to link this to your property are here. Lead generation, ecommerce, donation sites and any business using paid search on Google. Does it take fewer sessions to convert when people come from specific Campaigns, Ad Groups, or Keywords? What type of paid ads generate advocates? For example, people who not only convert but share content or come back frequently. What other channels most commonly assist AdWords campaigns? Is there a pattern for types of campaigns? What story does Google’s machine learning Data Driven Attribution model tell us about opportunities to lower cost and boost performance? AdWords is an incredibly rich and broad platform with detailed information on investment metrics and user qualities. With this in mind, why should we link? We already see AdWords and CPC referrals in the main Acquisition reports. Because of this we also already see bounce rate, conversion rate and engagement metrics like pages per session. The answer lies in how the data is analyzed. Having the connection in Google Analytics ties more extensive AdWords data to the whole user journey. Where we have a telescope of the performance of main conversions, we can think of paid information with Google Analytics as a whole map. So, the AdWords platform shows us the wins and Google Analytics fills in the gaps of user behavior tied to spend, cost and ROI. This link is beneficial going both ways, so if you’re using AdWords, make it the first to-do of Google Analytics set-up to jump-start paid analyses. Any advertiser who uses paid search through the DoubleClick Search platform and uses Google Analytics 360. This is typically for mid- to enterprise-level organizations. How effective is my Bing spend compared to my AdWords spend? Which advertiser hits our “About Us” page most frequently to show brand interest? Which shopping ads result in people staying on our site for mthanthat 5 minutes? How can we use that for spend optimization? Which keywords perform best across multi-session paths? The DoubleClick search platform is broader than AdWords and tracks keywords, dynamic targets, text ads, shopping ads, product groups, through multiple search channels (including Baidu, Bing, Yahoo! Japan and Yahoo! Gemini). Knowing that, I’m sure you can already get an idea of how useful this integration can be with Google Analytics. This integration also lets you use DoubleClick Search-specific dimensions in almost every report in GA, including the Multi-Channel Funnel reports. How do ad impressions, rather than clicks, influence conversion actions? What type of ads drive the highest-value customers? Which ads have the highest bounce rate? Is the copy misleading? How many new users are coming in with our Floodlight pixels? Are there trends in pages per session? You can think of DCM as a powerful hub. This is where the planning, reporting, and buying happen. It can even link with DBM to aid in programmatic digital marketing. Essentially, it is an all-encompassing point for all of the advertising integrations. Like the other DoubleClick integrations, this link will open up a new reporting area in Google Analytics. Not only can you see click-through data, but you can also see view-thru, or impression, data per line. This is particularly useful if you consider how effective your ads are even if they are seen and not clicked. Ad exposure is something Google Analytics certainly can’t show on its own. The DCM platform uses the DCM attribution model, which is also used in that reporting area. 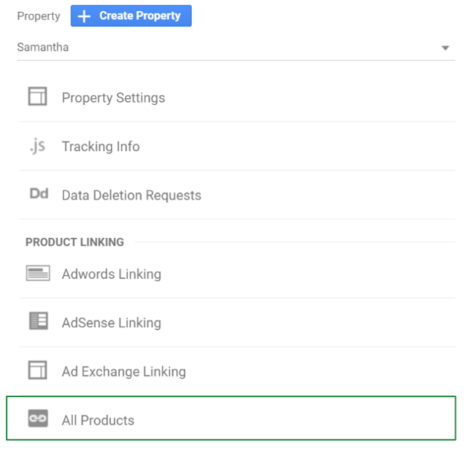 But you can analyze advertising efforts with the Google Analytics attribution model, attribution comparison models, and the Data Driven Attribution model. Remember, you don’t have to rely on just one model. Do you have a hunch about what the most effective ads are and the most effective user journey? Test and decide what should get the most credit (this includes DCM impressions!) with custom attribution modeling. Even a simple segment of looking at the behavior of users who were exposed to your ads will provide immediate insight. Advertisers using (Google Analytics 360 only). Is there an opportunity to bid higher for order lines that have more user action? Which ad network and which sites are most beneficial to the user journey? Should there be repeat usage of a creative served on an exchange if it’s driving a high percentage of new sessions? Which networks are the most popular for key age groups? Time to get even more granular. With the DoubleClick Bid Manager, not only can you see your display ads, you can compare them based on what was programmatically served, or trafficked, through DBM.. This includes inventory and bidding systems through other networks, not just the Google Display Network (GDN). Whereas DCM is a branding expert (ability to buy large amounts of impressions at fixed CPMs), DBM is your A-Type go-getter on this team. This is where money is spent, fast-paced decisions are made and optimization can be tested immediately. DBM is a Demand-Side Platform for buying placements in real-time, opposed to DCM which has the ads (placements and creatives) for these buys and tracks the conversions. The term 360 is making a lot more sense because we now have real-time ad-buying with DBM, ad-serving with DCM and DFP, post-click behavior with Google Analytics, and finally optimizing with remarketing audiences that work between all of these. Much like the DCM integration, the DBM link unlocks another area of reports under Acquisition, more dimensions and metrics, and a new row in our classic Source/Medium report. In my opinion, this is one of the most valuable integrations. Why? Because you can upload complex audience segments directly to the platform and bid on ads in real-time. Embrace the power. Publishers, monetized blogs, and ecommerce in some cases. How much of our content revenue is coming from these “fill-in” ads? What does the comparison look like between AdSense/AdX and trafficked ads? Does word count/page length affect revenue? How much do AdSense/AdX metrics increase with deeper scroll tracking? Google Analytics 360 isn’t needed for this connection. If you are a smaller publisher or monetized blog, this is your opportunity to tie AdSense and Ad Exchange (AdX) revenue to web content and behavior. Some metrics that become available in Google Analytics are AdSense impressions and clicks, coverage percentage, and eCPM (effective cost per 1000 impressions). What are these? AdSense and AdX are both ways to sell advertising space on your site. AdSense is more automatic and easier to maintain, while Ad Exchange is more granular and deals with direct placements and regular management. The tradeoff is that websites tend to see more revenue from Ad Exchange. If you are interested in the comparison, more information is here. AdX also works with DoubleClick Bid Manager (DBM), which is another link mentioned later in this post. Publishers and content sites (Google Analytics 360 only). Which pages generate the most amount of revenue? Are there trends per category or subsection? How much revenue is our content distribution traffic sources generating? What qualities do our most engaged and returning users have? How can we share that with advertisers? Which types of content are most valuable when viewed together in the same session? What dollar value can we attribute to social, AMP or organic efforts? This connection between products is brilliant because it involves data joining in the background by shared IDs. Each platform on its own cannot answer questions about user activity tied to impressions, ad placements, creatives, authors and content metrics. The most useful part of this integration is analyzing DFP metrics with acquisition and channel data. Your content consumers are your customers, so figuring out which traffic sources bring the most pages per session could influence your digital marketing strategy in valuable ways. Another bonus: with this integration, DFP dimensions and metrics are available in BigQuery as well. More on Audiences: Use Them. Before we venture beyond DoubleClick products and AdWords, don’t forget about building audiences. As you experiment with Google Analytics segments, keep in mind that these segments can be shared. If you are not utilizing the direct sharing with this feature, you are not taking full advantage of these integrations. Let’s say I take a look at the DoubleClick reports in Google Analytics. There seems to be a lot of view-throughs, but a small percentage of clicks and conversions. After segmenting with DCM, DBM, and GA metrics, I see that the conversions are mostly coming from the 18-25 age range from a specific ad exchange and the Pages Per Session and scrolling metrics are much higher. Let’s save a segment, send the audience to DBM, remarket and make money. Absolutely everyone who uses Google Analytics 360. BigQuery linking gives you the invaluable tool and asset of having a master database of your Google Analytics data. This is one of, if not the most, powerful links that you can use. Why should you link? BigQuery opens up a ton of possibilities around forecasting, predictive analytics, machine learning, deep content and ecommerce analyses, better lead gen data with user scoring, and joining tables from other data sources. You can also use it with reporting solutions like Data Studio, Tableau, R, or any other platform with a database connection option. Finally, if you are unsure of which view to link these products to, I recommend a production view or a Roll-Up production view (if you have that type of 360 property). This will allow for greater data integrity from the clean views and an even bigger picture of the data with a Roll-Up.